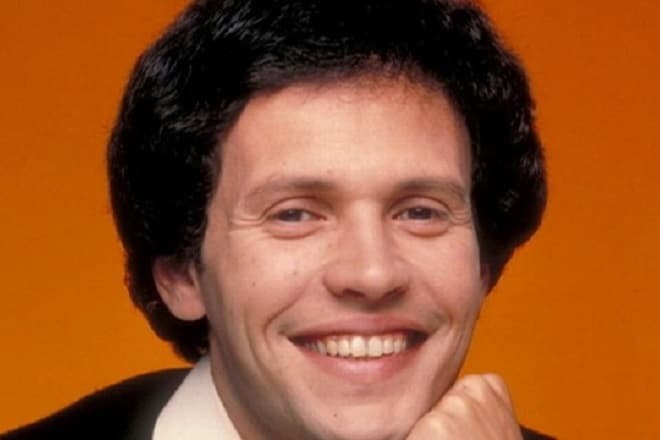 Billy Crystal is a versatile American star, who is famous for television hosting, acting, directing, dubbing animated movies, and of course, for his unique expressive manner and charisma. At the age of 71, he continues presenting his works to the world and living in accordance with his own point of view. Crystal was born on the 14th of March in 1948 at Doctors Hospital in Manhattan. Originally he was brought up in the Bronx, but then his family moved out to Long Island. 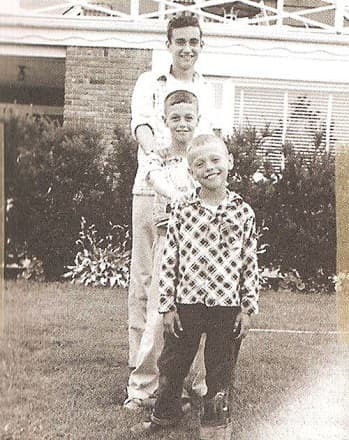 He was the young-est of three brothers, the only children of Helen and Jack Crystals. 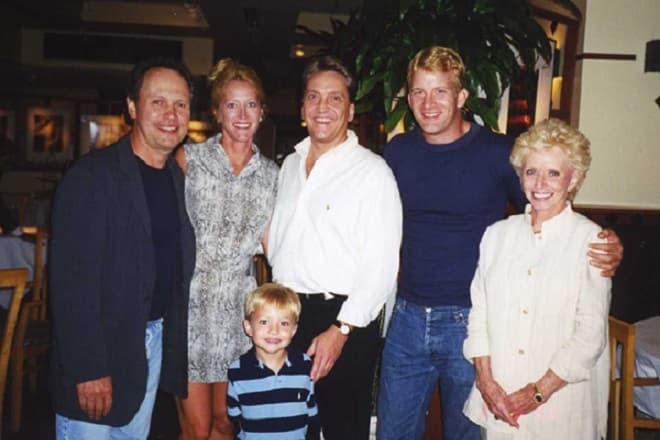 Billy’s mother’s maiden name was Gabler, and it was her father, Julius Gabler, who founded the store where Billy’s father, Jack, worked later on. Helen was a housewife and took care of Joel, Richard, and little Billy, while Jack was busy with his work at the Commodore Music Store and other projects, such as Commodore Records. This record label belonged to Helen’s brother, Milt Gabler, who was a songwriter and mu-sician, and Jack helped him as an affiliated executor. However, in 1960s interest towards Dixieland jazz started to decline, and Crystal lost his business. He passed away after a heart attack in 1963, and Billy’s mother was gone by the year 2001. Crystal was ethnic Jewish, whose ancestors immigrated to the U.S. from Austria and Russia. Billy was raised following the rules and underwent the ceremony of Bar Mitzva in a synagogue in Long Beach. Billy started showing his affection for comedy in early childhood. There have always been a lot of records at Crystals’ home, and brothers were used to amusing themselves with imitating and repeat-ing some fragments from the likes of such famous comics as Sid Caesar, Bob Newhart, etc. This childish performances, inspired by 1930-1940 actors, had later put on a mark on his acting which became filled with manners and tricks from those times. However, after finishing Long Beach High School, he continued his education in connection with baseball - Crystal enrolled at Marshall Uni-versity in West Virginia with the support of a baseball scholarship. He was taught how to play by his father, who also played in a team while being a student at St. John’s, and the actor-to-be dreamed about becoming a baseball pro for a long time. Unfortunately, the program was closed the same year he attended, and Crystal made a decision to return to New York, where his future wife lived. Billy and Janice (née Foley) both attended Nassau Community College, although the rising star took professional acting courses at the non-profit organization in Greenwich Village first. Janice was a young dancer, and the affair started roughly, and love came all at once. Still, Crystal changed his educational institution again, transferring to NYU, which he finished with a degree of a Bache-lor of Fine Arts. For some time he was majoring under the lead of a famous director Martin Scorsese, studying among other future celebrities, for example, Oliver Stone. Crystal’s artistic journey started with the foundation of a comedy group of three, which per-formed at local places. At the same time, Billy worked as a part-time teacher on Long Island while he wasn’t able to earn enough with stand-up gigs. After a couple of years, he started to play solo in some franchise comedy clubs and had quite a big moment with his impression of Muhammad Ali in front of a boxer himself. Nevertheless, it wasn’t enough for a talented person, so Crystal decided to ruin the stagnancy. Crystal would have never become himself without television. So, he left New York in 1976 and moved to Hollywood in a desire to appear on the screen. 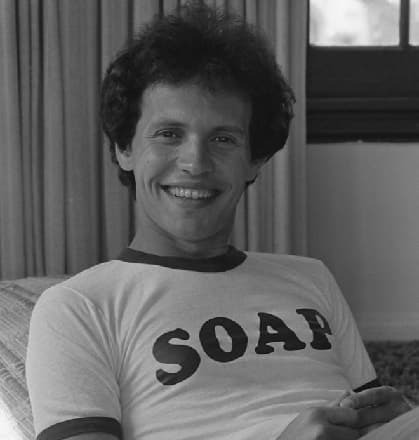 Only a year passed in between his moving and his TV breakthrough as a gay character Jodie Dallas in a controversial production of ABC named Soap (1977). It was nothing less but the first time of an LGBT person appearing as a regular character but in a satiric soap opera. 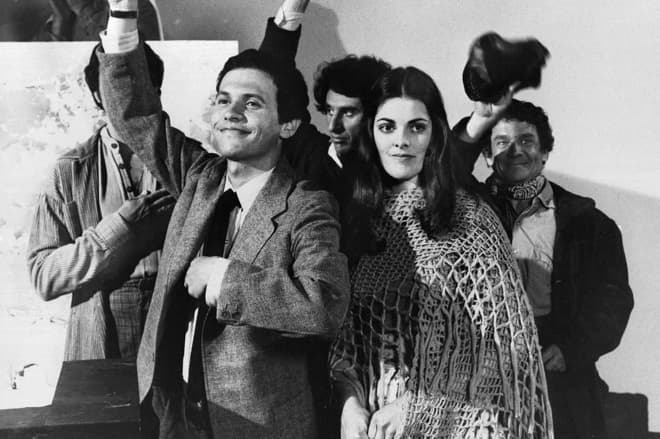 Although Crystal was noticed by NBC’s Saturday Night (later renamed Saturday Night Live) cast crew in 1975 and participated in the first episode of the program, his monologue was cut after all. Anyway, he appeared on the show again in the first season and even was a regular host in the 1984–85 season. Crystal got viral with a catchphrase «You look... mahvelous!» (distorted «You Look Marvelous»), which was a part of his imitation of Fernando Lamas, an Argentinian talk-show host. Such sensation was used twice again as a trademark in the name of his single, that was includ-ed in the Billboard Hot 100, and his stand-up sketches collection. There was another disappointment in Crystal’s career besides an unsuccessful start with SNL. 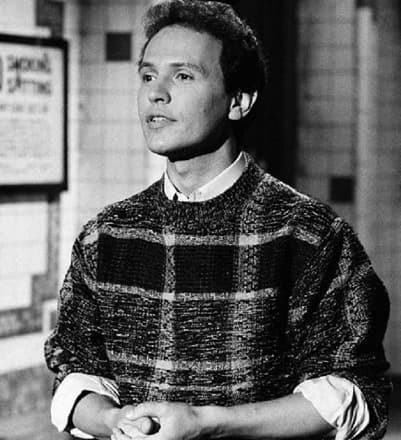 In 1982 he made a try of hosting The Billy Crystal Comedy Hour on NBC; however, it was shut down after releasing the two first episodes. He attended some game shows such as All Star Secrets, The $20,000 Pyramid, The Hollywood Squares; and Billy still holds the record in The $20,000 Pyramid. What an incredibly skillful man, isn’t he? In the 1980s Crystal hosted three Grammy Awards and nine Academy Awards telecasts, which makes him the second by the number of ceremonies led. He also got praised with three Emmy statuettes and colossal recognition from the viewers, making Oscars very remarkable. 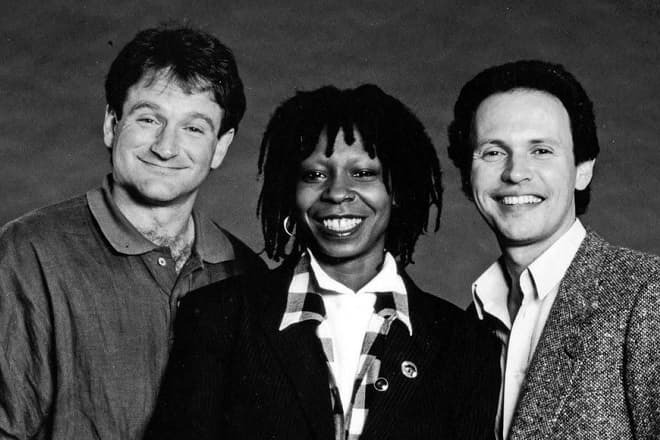 Since 1986 Crystal co-emceed Comic Relief with Robin Williams and Whoopi Goldberg. The show was founded to raise money for American people in need. In 2014 he appeared on TV in The Tonight Show Starring Jimmy Fallon, where he mostly talked about being a grandfather. Unsurprisingly, but Crystal’s movie career started with a couple of made-for-TV works, however in 1978 he made his big-screen debut in a movie Rabbit Test (1978). It was the first and the last film directed by Joan Rivers, which told the story of a pregnant man. It ended up with dev-astating reviews, which didn’t interrupt Crystal’s rapid rising. In 1986 Crystal acted Running Scared alongside Gregory Hines. Crystal and Hines were playing Chicago police officers wishing to retire after rich and successful careers and open their own small bar in the South, in Florida. But this plain wasn’t approved by a mafia leader, that was insult-ed by two friends, so he had to revenge cruelly. He got small but memorable roles in Rob Reiner's comedies: Morty the Mime in This Is Spi-nal Tap (1984) and Miracle Max in the Princess Bride (1987). 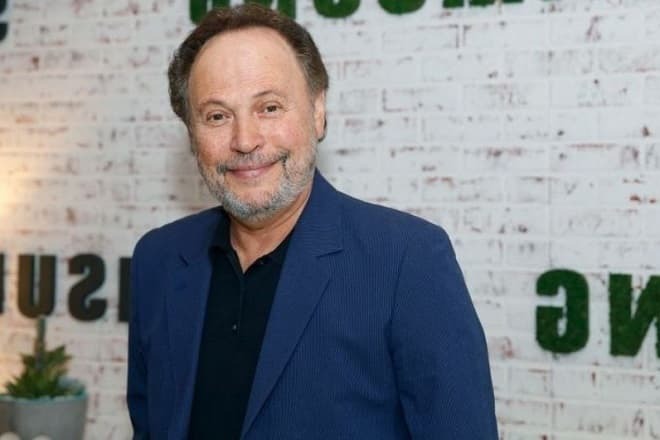 Their cooperation with Reiner continued with a lead for Crystal in the movie When Harry Met Sally… (1989), which turned out to be-come a classic of the genre and bring a nomination to Golden Globe. It told the story of two people in love who didn’t really understand and accept this due to their beliefs in the existence of friend-ship between a woman and a man. The movie also featured Meg Ryan, and their duet with Crystal gave recognition to both actors. 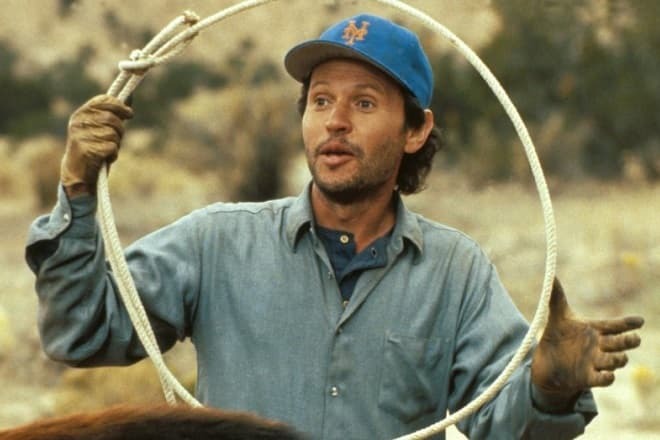 Crystal appeared in two parts of City Slickers (1991, 1994), a buddy comedy about three friends who decided to do something extraordinary to escape from their family routines, so they set out on a cowboy journey moving horses from one coast of the U.S. to another. The first movie even garnered Oscar for the supporting role. 1992 was the year of Crystal’s direction debut with a dramedy Mr. Saturday Night about a comic who lost his talent but didn’t want to leave stand-up. Billy wrote, directed and starred in the movie, proving that he is more than just funny sketches. In 1997 Crystal had an opportunity to work with Woody Allen in Deconstructing Harry. After a couple of lukewarmly accepted movies, Crystal got back on the horse with a role in Analyze This (1999), where he starred alongside Robert De Niro, who was his mafioso patient. Crystal played a therapist helping De Niro’s character to fight depression, and their appearance was a hit, so the sequel followed, Analyze That (2002). 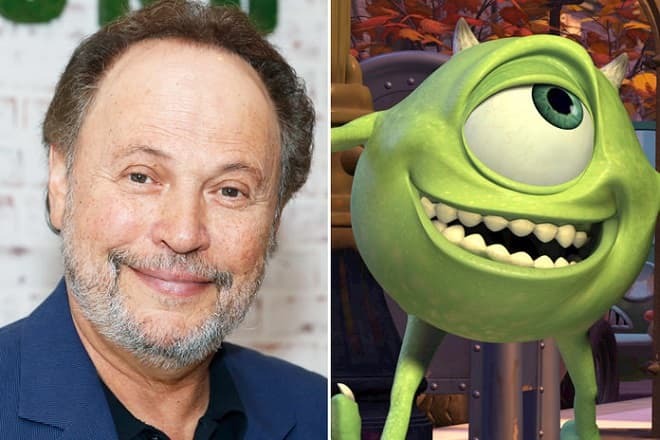 Billy Crystal as Mike Wazowski in Monsters Inc.
With the arrival of animated era Crystal remained demanded. He is most famous for voicing Mike Wazowski, a non-scary but strong monster, in Monsters, Inc. (2001) and later in prequel and side stories. What is more, a famous actor had a chance of making another hit character sound like him, but lost it: Crystal was asked to dub Buzz Lightyear, a toy Space Ranger, in Toy Story (1995). According to his confession, he regretted his move, since the franchise became super-popular. Crystal also paid tribute to his boyhood idol Mickey Mantle, directing 61* (2001), a baseball drama film, about Mantle and Roger Maris trying to overcome Babe Ruth's single-season results. In 2012 Parental Guidance was released, where Crystal acted duo with Bette Midler (Beaches, Ruthless People), portraying easy-going grandparents. There was also a case of Crystal on Broadway: he wrote an autobiographic one-man-play 700 Sun-days, mainly dedicated to his father. The performance was on tour in the U.S. and Australia and was filmed after its return to the theatres. Billy and Janice met back then in the 1960s and got married in 1970. Since that time they have been living happily together, had two talented daughters, who followed in the footsteps of their father in the field of showbiz, and almost became grandparents. The family has a residence in the westside of Los Angeles. He is known as a hug sports fan, especially, a baseball one. Since the beginning of his inter-est in this sport, Crystal’s idol was Mickey Mantle. A touching story took place: Billy, as a boy, kept a program signed by Mantle, and then, as a celebrity, he met a baseball star again, get acquainted and asked him to re-sign on the same piece of paper. Later Crystal and Mantle became close friends and maintained their relationship until Mickey’s death. Crystal also doesn’t disregard basketball too and proves to be a fan of the Los Angeles Clippers. Crystal continues to be a highly demanded and honored American comedian, still being cit-ed and noticed. For example, there is a strange case of his name appearing in a song of Yelawolf. 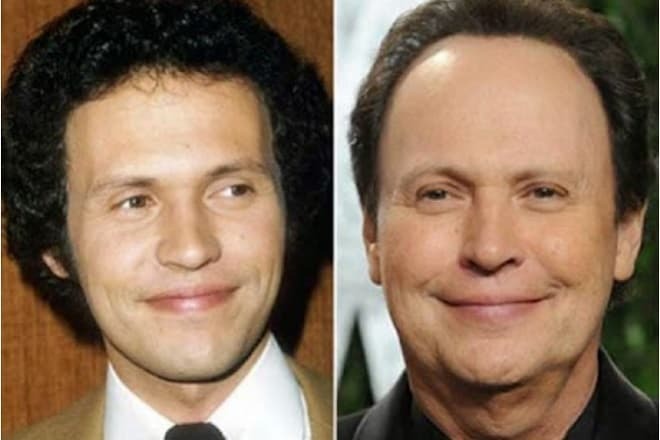 The lyrics tell the story of a drug dealer nicknamed Billy Crystal for selling crystal meth on the cor-ner. The net worth is $45 million.